Darrell Ross joined the Abilene Pipers in 2010. 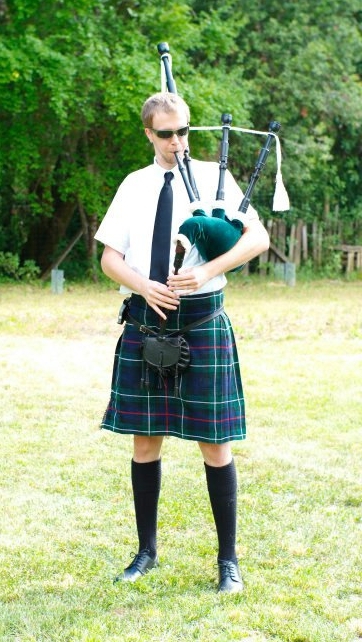 He has played in parades, Burns Suppers, Military events and Bar Mitzvahs. Darrell is a software developer and engineer for Milsoft. He and his wife, Sharyn, are currently living in the Great North West as they love the smell of conifers and the misery of humidity. However, Darrell still technically works in Abilene. This is due to his incredibly long arms.